Never stop looking up is a quote to inspire you. Sometimes a quote can change your perspective or give you a little reminder and the boost you need to carry on in your day. 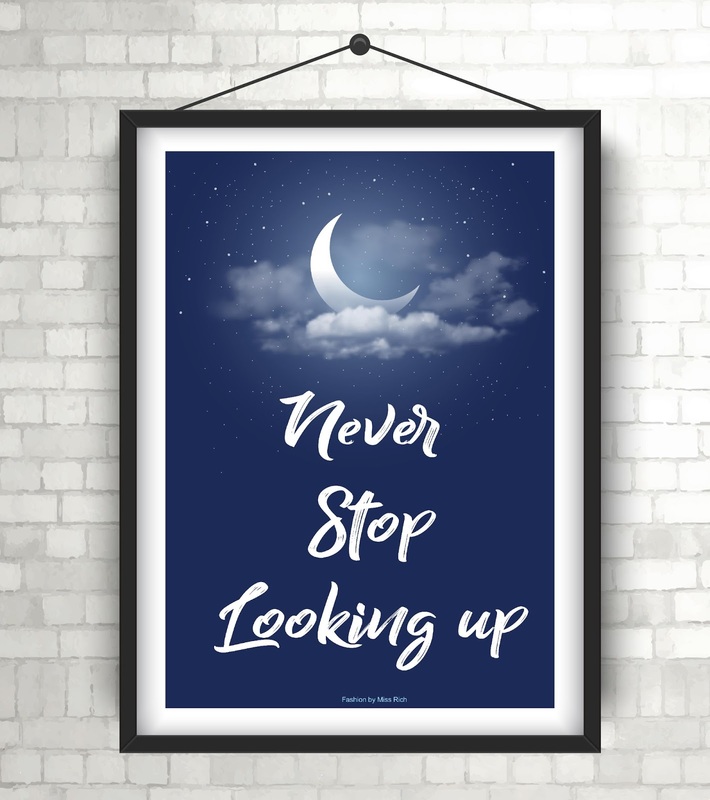 This whimsical phrase is all about never stop looking up, achieving goals and moving forward..
You can download the quote artwork here. This printable I’ve created can fit 20cm x 28cm (± 8" x 10") in size so that they can easily be printed and inserted into a standard size photo album. Photos are High resolution for optimal print quality. But keep in mind these are for personal use only. I am giving them away because I didn't make up these quotes. I just collected them throughout the year and turned them into small graphics. They are not my words and certainly are not mine to sell. All printers and monitors reproduce colours differently. Because of this, I cannot guarantee that what you see on your monitor will match your final pieces, exactly.